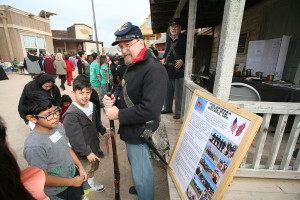 Old Tucson, The Arizona Sonora Western Heritage Foundation and the Arizona Civil War Council present Civil War Days at Old Tucson on Saturday, February 28 and Sunday, March 1. The event will feature a daily flag raising ceremony and presentations by the Arizona Civil War Council including displays and demonstrations illuminating Arizona’s territorial days and its brief tenure as a Confederate territory. 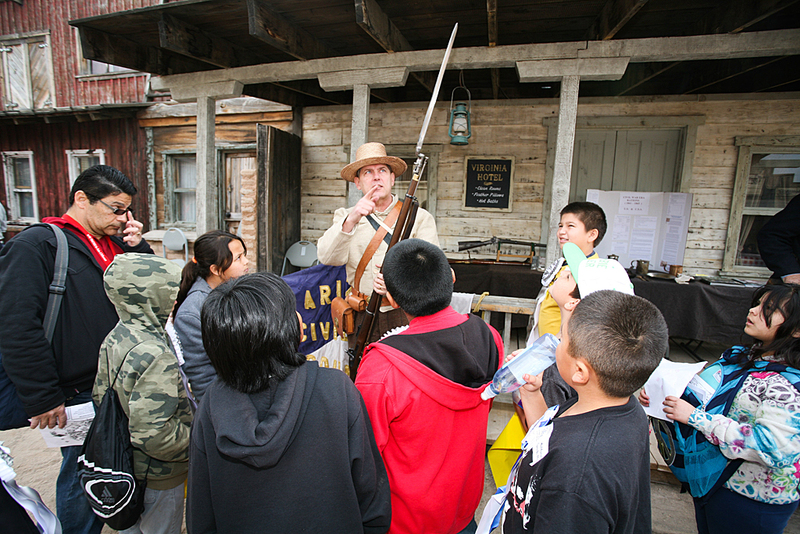 Visitors to Old Tucson will learn about the Civil War and the lives of Union and Confederate troops including talks on topics like the Civil War in Arizona, period weaponry, and life as a soldier. The Council also will present live demonstrations including the firing of period weapons. This family event includes interaction with guests who may be “recruited” to participate in a march through the streets of Old Tucson! The Arizona Civil War Council (ACWC) is the oldest, continually serving reenactment group in the state of Arizona. It was formed in 1983 and incorporated in 1986 as a nonprofit educational organization. ACWC members are dedicated to teaching history with an emphasis on the 19th century in classrooms and at various events including reenactments, parades and the 25th Ted Walker Youth Day at Old Tucson. These activities as well as Old Tucson shows, living history presentations, historic tours and rides including the vintage carousel, antique cars, train, and haunted mine are included in Old Tucson admission of $17.95 for adults (ages 12 and over) and $10.95 for children (ages 4 to 11). Children ages 3 and under are admitted free. Old Tucson is Southern Arizona’s premier film location and Hollywood’s most famous Western movie location recognized in over 300 feature films and TV Westerns. For more information about Old Tucson, visit www.OldTucson.com/ or call (520) 883-0100. Old Tucson is located in Tucson Mountain Park at 201 S. Kinney Road, Tucson, AZ. The Arizona Sonora Western Heritage Foundation (ASWHF) is an Arizona nonprofit corporation created to develop multi-cultural interpretive public education opportunities at Old Tucson. More information is at https://azswhf.wordpress.com. This entry was posted in Home Page, Home Page Slider, News and tagged Civil War Days, Old Tucson. Bookmark the permalink.